Investing in Real Estate in Dana Point is a great option for those looking for a small coastal town in South Orange County with a little more affordable prices that its neighbor cities. When people think Dana Point, they think Harbor, and beach. But Dana Point is so much more than that. The small Orange County boat community, located south of Laguna Beach should be mostly known for the miles of bluffs overlooking the Pacific Ocean and the wonderful homes ranging from small condos and cottages to luxury estates and beach homes, with many custom homes and the rare ' resort homes'. 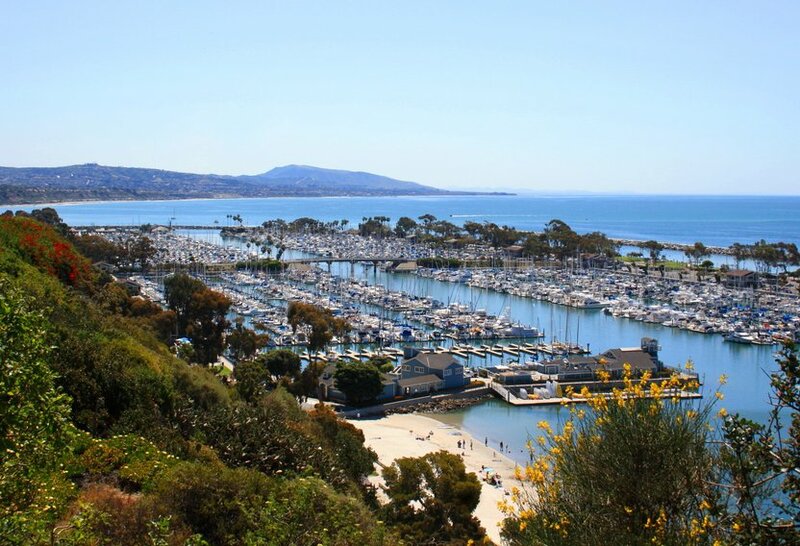 The bluffs in this town, is what makes the Dana Point Real Estate so interesting, with many homes having gorgeous ocean views, having that 'small town' feel, and enjoying the perfect weather that only a ocean close community can bring. The city of Dana Point has recently invested in a beautification project, making changes to the traffic flow along PCH, adding gardens and sideways to make the city more appealing for customers. 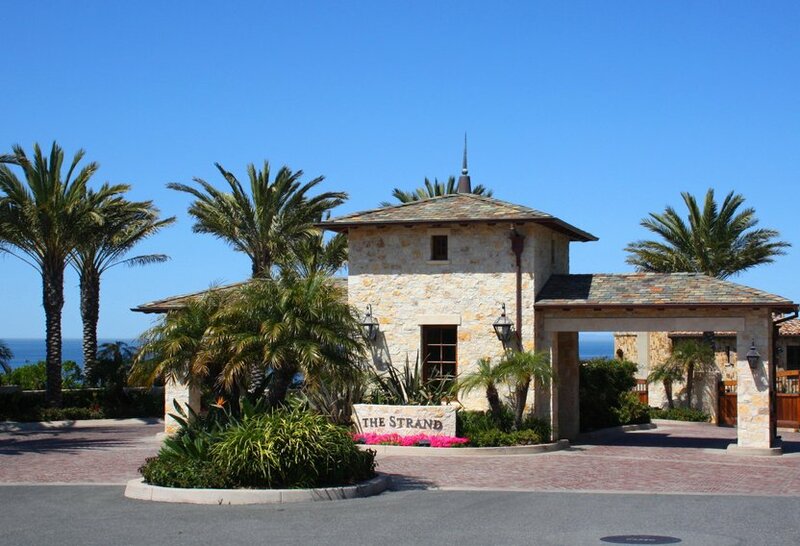 View all Dana Point real estate for sale below, or click to read more about the available Dana Point homes. You can also search for Dana Point CA homes by map. We are licensed Dana Point Realtors® that are ready to help you with your Dana Point home sale or purchase. Contact us by email or Call us at (949) 888-6788 for a showing! The diverse Dana Point real estate market stretches along the Pacific Ocean in South Orange County. 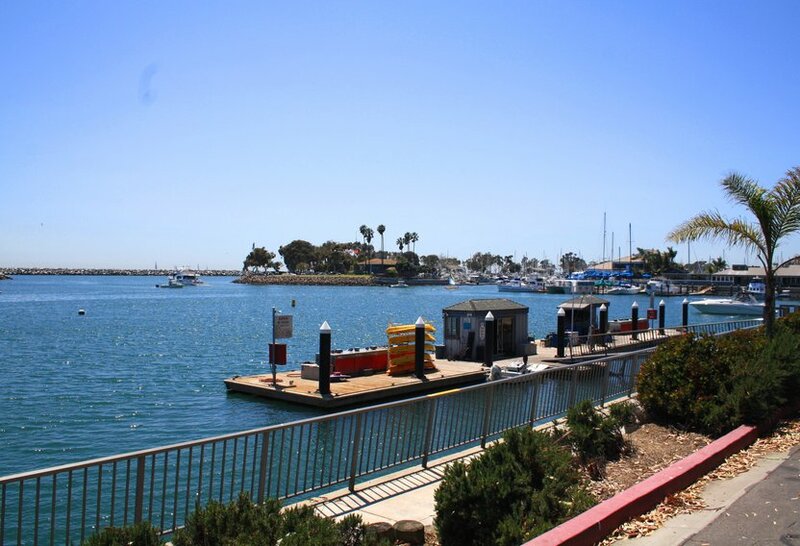 This coastal city which was named after Richard Henry Dana, has one of the few harbors in Orange County and attracts thousands of visitors for shopping, sport fishing, walking, bicycling, parasailing, paddle boarding and of course, for surfing. 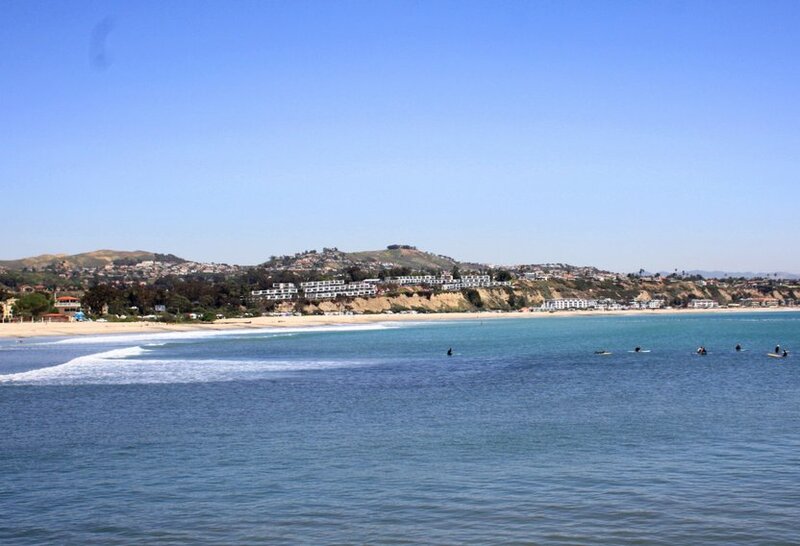 Dana Point was home to a legendary surf break called Killer Dana and its famous Doheny State Beach is the site of many annual music and food festivals. This is an amazing opportunity to build the oceanfront custom home of your dreams on a prime front row lot in the exclusive guard gated enclave of Ritz Cove - one of the region's most sought-after locations for coastal living, just steps from world-class beaches and convenient access to charming boutiques and restaurants. Direct beach access. 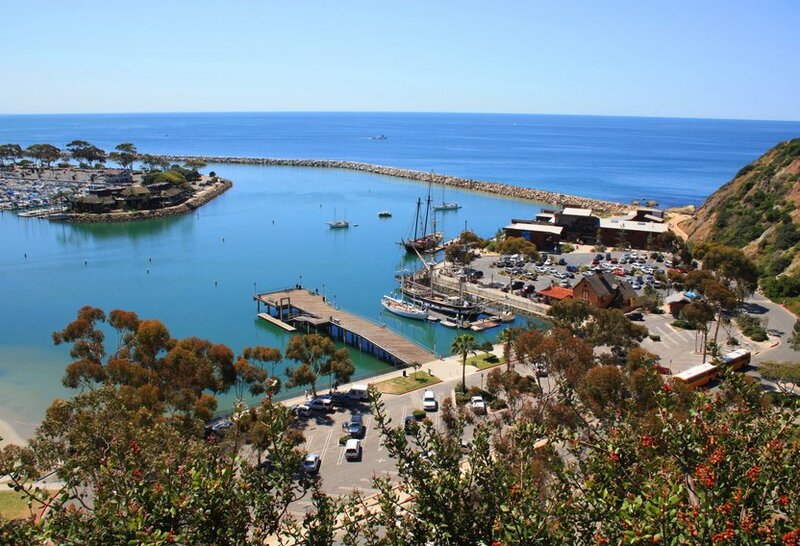 Located along the magnificent South Orange County coastline, Dana Point is home to over thirty five thousand residents and is known for the beautiful Harbor and the several miles of prominent bluffs and rolling hills located along the Pacific Ocean. 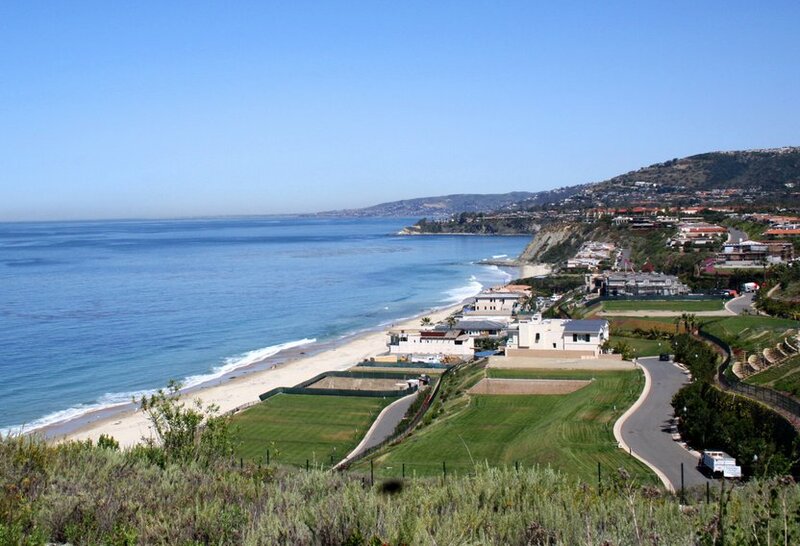 Doing a drive along the coast from south to north in Dana Point, the first area will be Capo Beach (Capistrano Beach), with the Beach Road homes right on the sand, and the neighborhoods sorrounding the famous Pines Park. 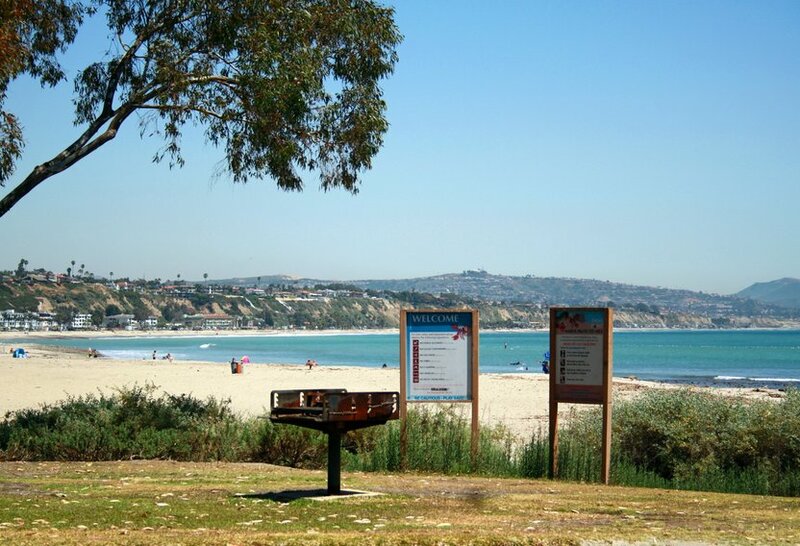 Next, we will find the Doheny State Beach, with its campground and many activities and concerts throughout the year. Right next to it is the Dana Point Harbor. Around the Dana Point Harbor, you'll notice the 'Headlands' - which are the bluffs overlooking it. The Harbor provides slips for over two thousands boats and is a focal point for many activities throughout the year, apart from providing restaurants with live entertainment, shopping, water sports and cycling for its residents and visitors. On the north end of the Harbor, there's the beautiful building where the Ocean Institute is located. Above the Ocean Institute, we will find 'The Headlands', an area that after years of controversy, is currently being developed into a fine residential gated community: The Strand, in which 68 acres of the site will remain open to the public and now features a Nature Center, with walking trails that have amazing views, exhibiting 'lost' plants of Southern California. This area all the way to the border with the city of Laguna Beach is what's known as Monarch Beach - with its many gated neighborhoods, condos, and some of the finest luxury real estate in Orange County. Dana Point real estate options are diverse. There is a wide variety of homes, houses and other property types that range in sale price. Single-family detached homes usually start at around $500,000 and can run into the multi millions. There are many estates with spectacular ocean views. Condominiums and townhouses are available ranging in price from $350,000 and can reach up to $2.5 million or more for luxury units with great amenities. 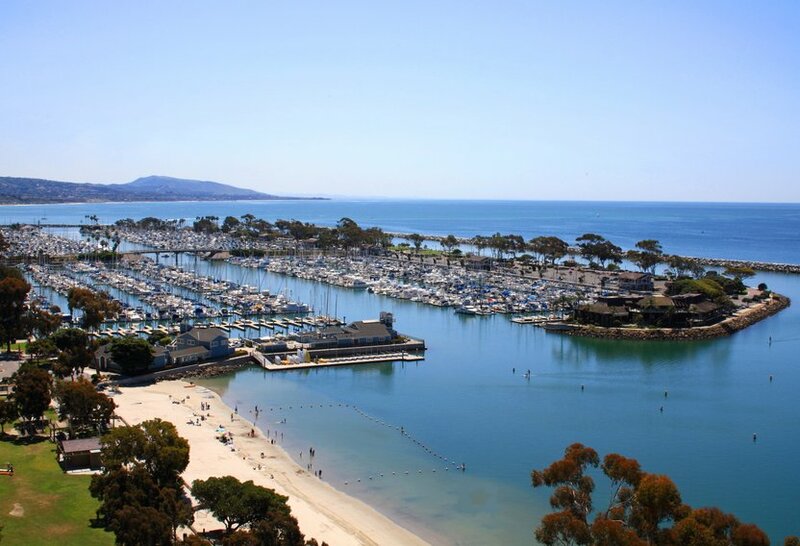 Todays top attractions to Dana Point include Salt Creek Beach Park ( is the beach by the Ritz Carlton Hotel), Doheny State Beach (with camping ammenities, trails, miles of ocean) and the Ocean Institute, a non-profit organization dedicated to preservation and education of the ocean. The Ocean Institute is open during weekends for exhibits, offers summer camps, it's a great place to take the kids, and it's located just next the famous 'Baby Beach', a little beach just on the north end of the Harbor, always full of families and toddlers, therefore the name. A newer attraction is the Nature Interpretive Center, with information on Dana Point native animals and plants, and a nice trail along the bluff. Festival of Whales and Parade around March: this is a celebration of the California Gray Whale’s migration that begins in December with a variaty of events throughout the harbor. It is the most incredile whale watching in Southern California.The celebration finishes with the two-weekend Festivals in March with many events for the entire family, and the Whale Parade along Pacific Coast Highway. Beach activities, and to end the event, the city hosts a concert on Baby Beach with bands performing on the water, a must see!. And the best part, it's free. Dana Point Grand Prix: usually around April, is a weekend of family fun and cycling. The races are around downtown and there's something for everyone in the family, like kids races, vendor expo, food and beverages. California Wine Festival at Dana Point: the name says it all. A great festival for wine lovers, with vendor expo,food, beverages and wine tasting. The Doheny Blues Festival: a pretty big event at Doheny Beach, is a series of concerts of blues groups. The Blues Festival is recognized as one of the nation’s top music events, having been named "Best Festival" by blues music's premier organization, The Blues Foundation in Memphis, TN. Doheny fans come in all ages and there's also a Kidz EcoFest. Music appreciation, crafts, and other fun interactive activities keep kids engaged and entertained. The summer series of Concerts and 'Movie at the Park'. Throughout the summer, the city offers free concerts on Sundays in its different parks. It is a great get together, with kids running around and dancing. Movies at the Park are on Fridays, people come with blankets and chairs and the family friendly movie is showed. 4th of July Fireworks Extravaganza, done at the Harbor, is great show. Rainbow Sandals Battle of the Paddle in September. Toshiba Tall Ships Festival in September: great display of real working tall ships. Interactive living-history encampments including blacksmiths, scrimshaw artists, and the infamous Port Royal Privateers are sure to entertain and amaze guests of all ages. Food and Beverages are sold and the Ocean Institute has special events. Turkey Trot: California's Thanksgiving Day Run with more than 10,000 participants, including kids. The Dana Point Turkey Trot is a popular event, being one of America's Most Scenic Coastal Runs. Holiday Activities around the Harbor and Boat Parade: in December Dana Point is full of family events, winter festival and the famous boat parades with display of lights, two weekends in December. As any of the other cities in Orange County, you’re not too far from DisneyLand, Los Angeles, Sea World, San Diego and Catalina Island (which you can catch a ride from the Dana Point Harbor). 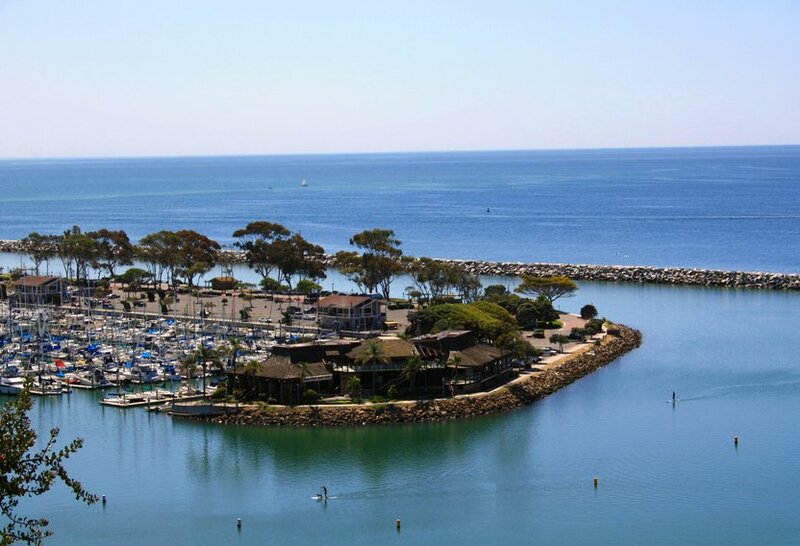 Dana Point is just an exciting place to call home. If it is newer or older residential Dana Point real estate, you can be sure we have what you are looking for. Whether buying or selling homes, houses, luxury mansions, bank repo's or foreclosure properties or any other real estate for sale, local agents will provide you with Dana Point. Here's the Dana Point areas described. 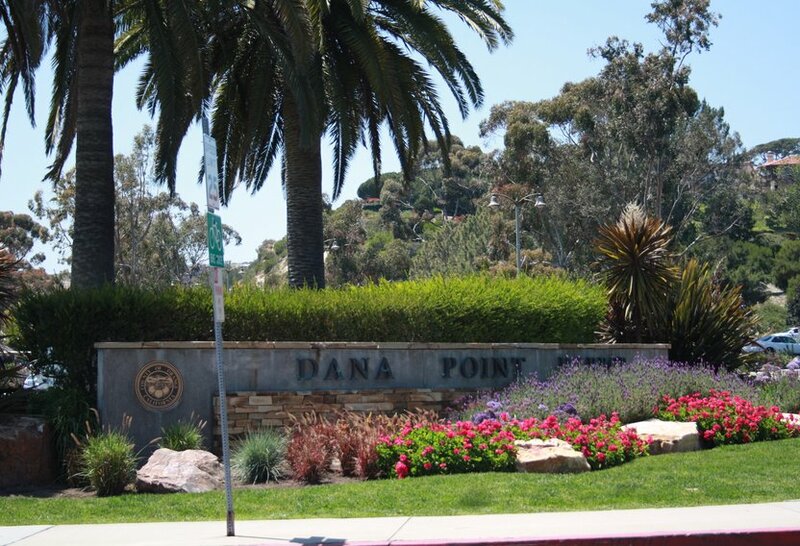 Looking for Dana Point home in specific areas? Capistrano Beach Homes: Development of the Capistrano Beach began back in 1980, and it's Capistrano Beach Park was opened to the public. Capistrano Beach, or 'Capo Beach' offers a variety of homes, mostly custom, and it's famous for the 'Beach Road', which has homes priced in the millions, all along the coast, beach front, and with spectacular views. Magnificent views of Catalina and the Pacific Ocean, as well as Dana Point Harbor to the North can be seen also from the homes along the 'Capistrano Beach Road'. Many Capistrano Beach homes are used for seasonal opportunities. Dana Hills Homes: Dana Hills is located above Lantern Village and just south of Monarch Beach. Mostly single family homes, Dana Hills offers ocean close living to fit any budget from condos and townhomes to luxury ocean view resort style communities. Monarch Beach: This is the closest community in Dana Point to Laguna Beach and the setting here is 'resort like'. Monarch Beach is home to two world class hotels, The St. Regis and The Ritz Carlton and all Monarch Beach properties are guard gated and offer the proximity to the beach and miles of walking and hiking trails interconnecting the neighborhoods with the beach access. Some of the most luxurious properties in Dana Point have their location in Monarch Beach and some say the homes here have the most 'suburban' feel in Dana Point. Lantern Village Homes: The beautiful community of Lantern Village is the closest to downtown Dana Point and the Harbor. On the bluffs and within the hills overlooking the Pacific Ocean you will find older cottages and modern homes, estates, townhomes,condos and multi units.. Many of the streets in Lantern Village are named after different colored lanterns that were used by natives in the 18th century to guide early traders into the harbor. Lantern Village residents enjoy a semi urban life with access to many public parks while being very close to the water. Del Obispo Homes: Residential homes were first built in the early 1960's. Many properties have been renovated by over the years that give this part of Dana Point it's unique charm and ambiance. The Del Obispo area of Dana point is bordered on the North by Camino Del Avion, the Eastern boundary is Camino Capistrano, the South boundary is PCH, and the west boundary is just to the west of Del Obispo Rd. OCDreamhomes | 26131 Marguerite Parkway, Suite C, Mission Viejo, CA 92691 | All information herein is deemed reliable but not guaranteed | Sitemap Dana Point Real Estate | CA license #01517198 | Dana Point Real Estate: Homes and Condos for Sale.